New screenshots show legendary and exotic weapons that are coming to Destiny in Rise of Iron, including new sets for the Vanguard, Crucible, vendors, Trials of Osiris, and Iron Banner. Destiny‘s developer Bungie has already revealed that the Year One exotic rocket launcherGjallarhorn is making a comeback in Rise of Iron. But Destiny: Rise of Iron, the game’s fall expansion, will bring a full weapon refresh across vendors, factions, and activities. The blue and orange, V-shaped paint scheme on the body of the gun, plus the full Vanguard insignia right below the sight pretty much solidifies that Occam’s Razor is a Vanguard shotgun, likely available from the Vanguard Quartermaster and a possible drop from Legendary Engrams. This fusion rifle could be either the paint scheme for the new collection of Crucible weapons or it could be a slight alteration of the blue and orange that was on Occam’s Razor above. Expect to find this weapon at the Crucible (or Vanguard) Quartermaster. This heavy machine gun is clearly the property of the New Monarchy faction. And with the newly revealed feature of being able to choose between weapons and armor for faction rank up packages, players should have a clear avenue to this weapon if they so choose. Iron Banner is getting an overhaul in Rise of Iron. The reputation system and bounties are being adjusted with the goal that hitting Rank 5 will take less time but that players will be incentivized to keep playing to get post-match loot drops. The weapons and gear are also taking a huge departure in design from what has previously been seen in Destiny‘s first two years. The weapons look especially old, adorned with chainmail, blades, and spikes. It is fitting with the Viking and Arthurian legend inspired theme of Rise of Iron that points to the expansion’snarrative involving the Iron Lords. Headstuff Gaming | Come Write With Us! 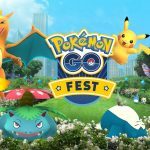 Pokemon Go Fest: When Are the Challenge Windows? What Is Fuchsia, Google’s New Operating System?